Where are the herds in January? 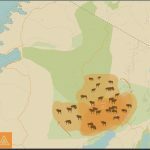 By January, most of the herds have congregated in the Ndutu Plains for calving season. 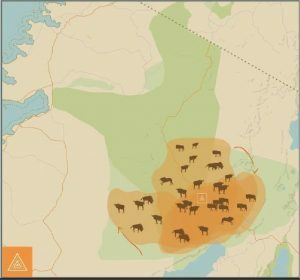 Ndutu is in the Ngorongoro Conservation area which means rich, nutrient soils for the young calves to give them the best start in life. By mid-January, calving season is in full swing and more than 8,000 calves are born daily. Aside from the sheer volume of grazers in the area which is phenomenal to see in itself, the young calves also attract an immense number of predators. In fact, from January to February, the Ndutu plains has the biggest concentration of predators anywhere on the planet, which only means one thing; seriously explosive predator action. Is January a good time to see the Great Migration? So yes, January is one of the absolute best times to see the Migration in herds of thousands, though they do tend to be even more congregated in February so if your dates are flexible we would recommend maybe looking at visiting a bit later if possible… If you are set on January though, look at going towards the end of the month. This way, you will avoid peak, peak prices over the festive period and the crowds that come with it. 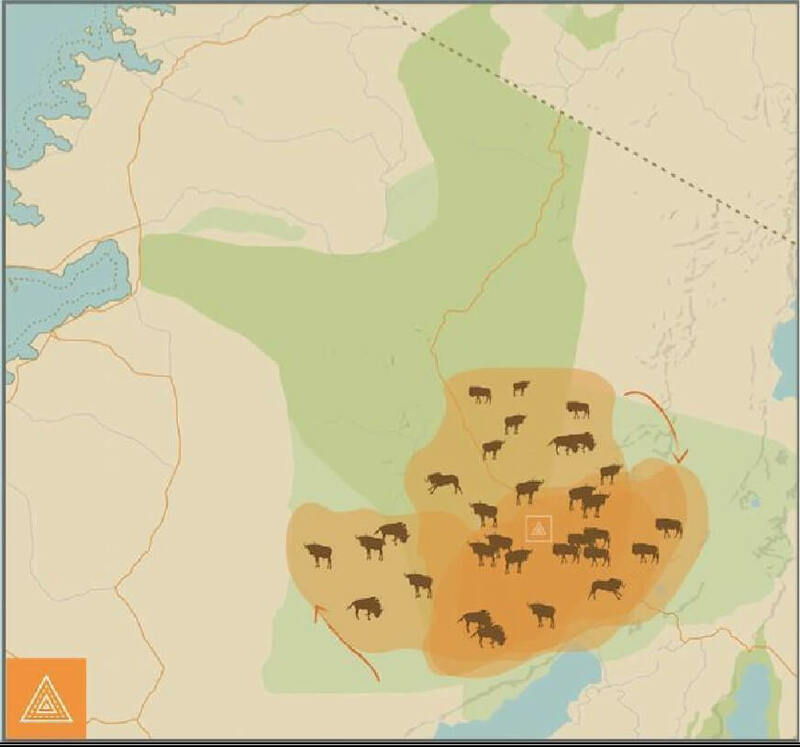 By visiting later in the month, you will also have the best chance of catching the big herds, as by this time the majority will definitely be fully into calving season creating spectacular wildlife viewing opportunities. So, where should I stay to get the best chance of catching the herds in January? The Ndutu Plains! 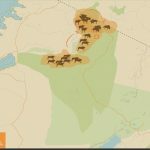 If you are going in very early January though, really want to catch the mega herds, have a long Serengeti safari, and maybe want to stay in some more permanent accommodation options, then you could also consider combining a central Serengeti permanent camp with one in the Ndutu Plains in the south. The Ndutu area doesn’t actually have any permanent camps, and it is the home of the mobile one, so if you really want the permanent camp experience then you have no choice but to look to Seronera (though most of these, although permanent, are still under canvas!). Which mobile camps to stay at for a January Serengeti safari in Ndutu? Chaka ($607 pppn). Very comfortable accommodation and an excellent overall experience in great locations, at an amazing price; you can’t go wrong with Chaka for a basic yet authentic Serengeti safari. 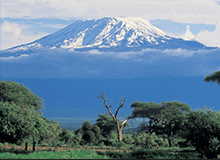 Serengeti Safari Camp ($900 pppn but 7 for 5 nights and 5 for 4 nights deals throughout the month). An office favourite. Moving between 3 locations throughout the year and with 2 mobile camps, Nomad Tanzania’s passion of exceptional safaris shines through in everything they do… Safari mad but without compromising on quality one little bit, Serengeti Safari Camp is unbeatable for an authentic Serengeti safari. Ubuntu ($664 pppn throughout the month). Asilia’s best value mobile camp, Ubuntu is similar in style to Serengeti Safari Camp and in an equally excellent location at this time of year. A fabulous choice for a barefoot luxury tented safari experience. Serengeti Under Canvas ($1,240 pppn for whole month..) &beyond’s Serengeti mobile camp, this is a very luxurious tented option and for those who don’t mind splashing out on a premium experience. 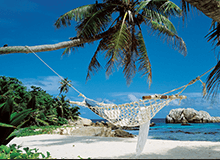 Olakira ($971 pppn for whole month). Asilia’s most luxurious mobile camp, it is not quite as glitzy as Serengeti Under Canvas but by no means is a less desirable option as it doesn’t come with quite such a hefty price tag. Kiota ($430 pppn after 6th Jan, more before). As Chaka’s sister camp, this is an exceptional value property. Located in Seronera, with amazing views of the surrounding plains, it is exceptionally well positioned for the excellent central Serengeti resident wildlife. It is very comfortable with lovely staff and a very welcoming atmosphere. Namiri Plains ($1,122 pppn after 5th Jan and more before). Namiri Plains is one of the best locations in the whole of the Serengeti in our view, migration or no migration. It is set in the eastern area of the park and with only one other camp in its vicinity, hardly any vehicles venture here. This does not mean its wildlife is less prominent by any means, but quite the opposite. 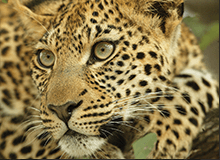 As a former cheetah conservation area the big cats here are extremely good. Fine food, luxury tented accommodation in a magical area; you can’t get much better than this. 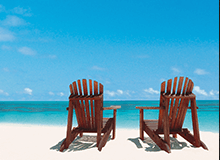 Dunia ($914 pppn for whole month). Another Asilia property, and one which we love to send couples and families alike to – it suits everyone, and the all-female staff create an incredibly welcoming and warm environment. Exceptionally well positioned in a quieter area of the Seronera region, with it’s excellent resident wildlife, it is a fantastic choice. 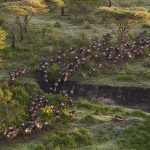 Considering visiting Tanzania to catch the Migration? See our Great Migration page all about where to be in the Serengeti to catch the mega herds. Although we make our blogs as useful as possible and our website as detailed as possible, it is always best to call up an expert and chat through your options on the phone. 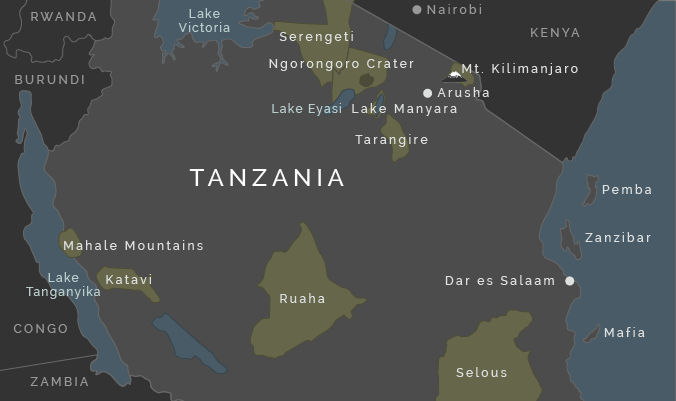 Each consultant has visited Tanzania multiple times and can give you first hand experience of what to expect, which really is the most useful tool we can offer!